When Chicago native and Freedom Alliance ally Beverly Perlson comes to Washington, D.C., it’s for a noble cause. As founder of the Band of Mothers, Beverly is rallying at Capitol Hill in support of our troops, which is the heart of this endeavor. To her, every soldier in harm’s way is someone’s child, and as the mother of a U.S. military service member, she vows to fight for all who are defending our freedom. Beverly’s son John deployed four times with the 82nd Airborne Division and was awarded a Bronze Star. During his overseas service, Beverly established an extensive postcard campaign, which gathers and sends personal messages of thanks from American civilians to those serving on the military front. And her effort is ongoing. As much as she lobbies and strives, she also spreads hope and gratitude wherever possible. While in the nation’s capital this month, Beverly partnered with Freedom Alliance to provide a special thank-you for local veterans, many of whom are patients at Walter Reed National Military Medical Center, in Bethesda, Maryland, or once were. 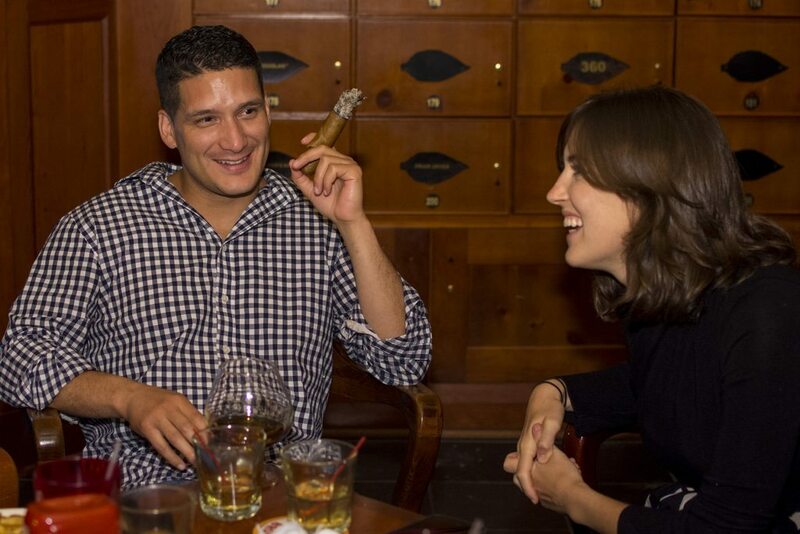 Since 2013, this is a favorite pastime we call Cigar Night. 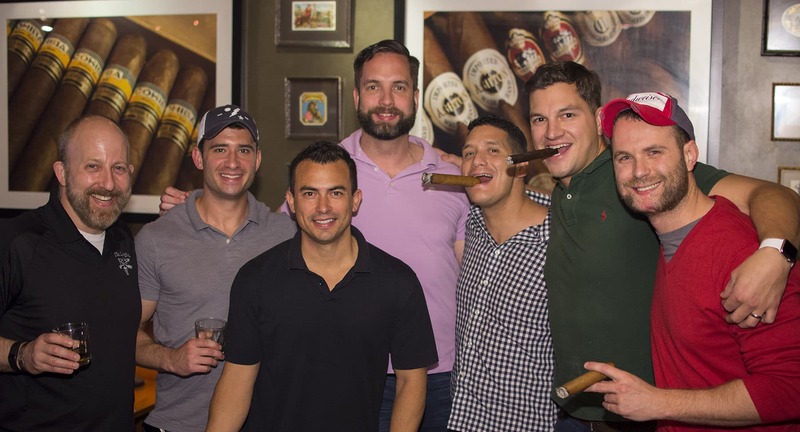 Freedom Alliance invited 12 guests, all veterans of combat, to meet at Shelly’s Backroom, a one-of-a-kind establishment for cigar aficionados. 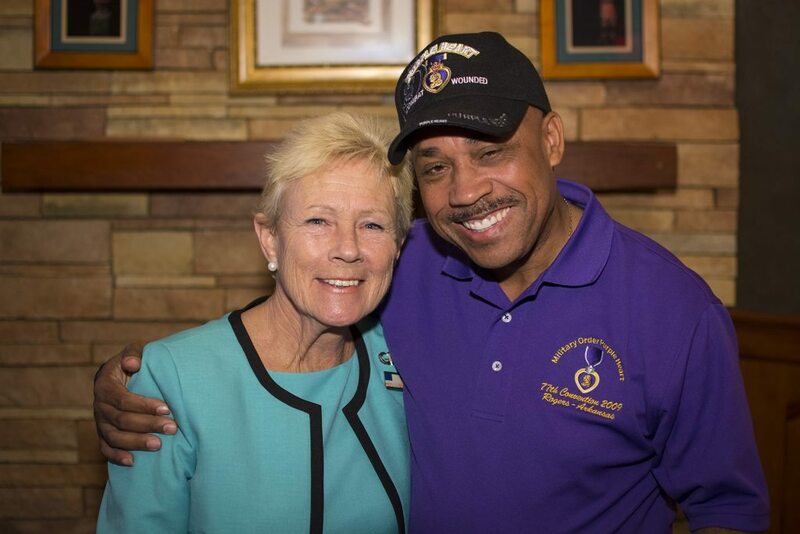 There Beverly treated the veterans to dinner, drinks, and 70-gauge Connecticut-wrapped cigars! 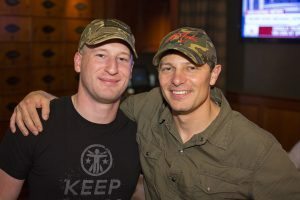 We welcomed both soldiers and Marines, some of whom have shifted out of the service and into various Washington jobs, and others who are still in recovery at Walter Reed. A few are old friends and some we met for the first time. There were recipients of Purple Heart medals and one with a Silver Star. There were those with visible wounds, and others carrying unseen burdens. Despite their different branches of military, rankings, and stations in life, they all shared a smoke and accepted our thanks. It was an engaging evening with much laughter and warmth. Beverly expressed her sentiment for each and every veteran, making sure they understood her commitment to their well-being. Such is her passion, that one cannot doubt her dedication and sincerity. One Marine major who attended previous Cigar Nights but has since moved away sent his regrets, and asked us to give his very best to Beverly; he said he always looked forward to attending this event, above all others. With unceasing resolve and countless acts of kindness, Beverly and her Band of Mothers are making a difference in the lives of service members—active-duty, in transition, and retired—and Freedom Alliance is proud to stand on the frontline with her.